These are all scary questions to consider, especially if you're a new mom. I had a unique situation with my first child. He was born with a kidney defect that later was corrected in surgery but the first 2 years of his life was crazy. He had to take anti-biotics the first year of his life to keep away infection from his kidneys but the side effect meant a weaker immune system in the long run. Between doctor appointments for his kidney and the ER visits from high fevers it left my nerves frazzled, but by the end I felt like a pro at handling emergencies with him. Before I go even further let me preface this blog by saying you should always consult with your doctor(s) if you suspect your child is sick. As a mom there is so much information available on the internet in regards to the health of a child. Always refer back to a trusted doctor, follow your gut and ask a lot of questions. You are child's biggest and first advocate! 1. Checking your child's temperature. Your child's temperature will determine whether you can control his flu immediately or if you need the help of a doctor. 103 degrees F was always my que. 2. Keep your doctors' phone numbers handy and the address of the nearest ER. 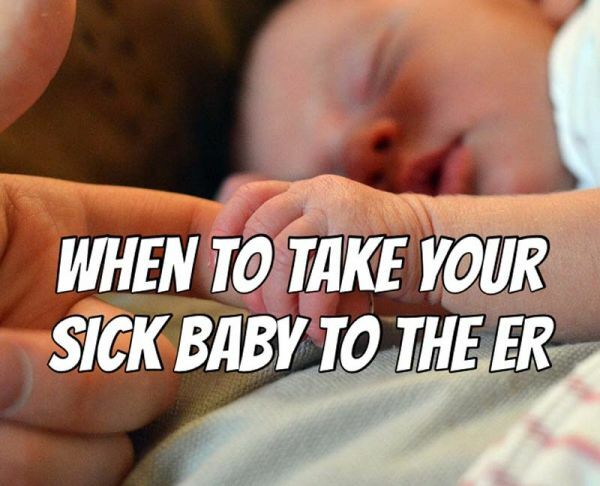 If your baby's temp spikes call your doctor. The doctor will help you to make a decision on what to do next. If you cannot get your doctor a trip to the ER may need to happen. Make sure your baby has little to no clothing on. A blanket or heavy clothes may make it worse. You a soft damp rag to cool off your baby. I used to wipe my son down to bring his temp down. Make sure not to soak the rag. Only slightly damp. I would also rest it on his forehead for a few minutes to help with the cool. Give your baby water or breastfeed if you can. Your breast milk is powerful stuff. 4. What type of infant medicine do you have in the house? Consult with your doctor to see what you should keep handy. You may have to give your child some medicine before heading to the ER. 5. Support is important. Hopefully there will be another person around to either drive to the ER or watch your baby on the drive over. 6. Keep a mental note of symptoms. The doctor will need to know what symptoms your baby has to properly diagnose. 7. Try to keep a cool head. You will feel flustered and worried. BUT the worry will not help if you cannot think straight in an emergency. Being prepared in case of an emergency is the best way to help with a situation like this. 8. Keep extra wipes, diapers and change of clothes for your baby in a bag in your trunk or near your front door. You can also include snacks for you or clothes. Baby food should not be kept in the trunk because of heat and cold messing with the contents. Most hospitals will have baby food if you ask for it or grab some on the way out. If you never have use for the bag then it's no harm done but at least it's there.